Make a statement with one of our DC Chauffeur Drive vintage cars arrive in a classic or vintage car for that standout moment. DC Chauffeur Drive has a fleet of luxury vehicles available for corporate and private clients. 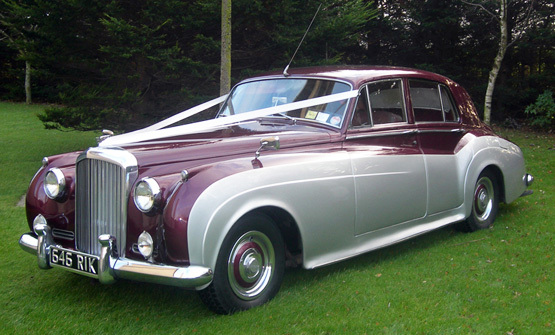 We offer beautiful vintage cars for special occasion hire. Our vintage cars and modern saloons & coaches are absolutely second-to-none when it comes to luxury, style and comfort. Our fully-trained and discreet chauffeurs will make your event even more special. Make a statement with your entrance in one of our chauffeur-driven vintage cars. For our corporate clients DC Chauffeur Drive offers the use of a full fleet of both sleek modern saloons and luxury vintage cars – something for every occasion and taste. All of our vintage cars are immaculate in appearance and run like a dream. The interiors of our vintage cars are luxuriously appointed in leather, polished wood and high gloss chrome finishes. To really impress your foreign clients you must hire the very best chauffeur-driven luxury transportation. Make the occasion even more memorable by hiring a vintage car for your guests. They will always remember the quality and luxury of the vehicle and it will stand out in their memory as a one-of-a-kind experience. Bring your clients out in style to your favourite restaurants in one of our vintage cars. When you hire a chauffeur car from DC Chauffeur Drive your clients will always be impressed.